In an unprecedented decision, the Competition Commission of India has charged a penalty of Rs 2,545 crore on 14 car makers for infringing trade norms in the spare parts and after services market, in a 215 page order. The ones penalised include Maruti Suzuki, Tata Motors, Honda Siel Cars India, Volkswagen India, Fiat India Automobiles, BMW India, Ford India, General Motors India, Hindustan Motors, Mahindra & Mahindra, Mercedes-Benz India, Nissan Motor India, Skoda Auto India and Toyota Kirloskar Motor have also been penalised. The maximum fine of Rs 1,346.46 crore has been slapped on Tata Motors, followed by Maruti Suzuki (Rs 471.14 crore), Mahindra & Mahindra (Rs 292.25 crore) and Toyota Kirloskar Motors (Rs 93.38 crore). For each Company, the individual penalty amounts to two per cent of their average turnover. The penalty is to be deposited within 60 days of receipt of the order. While the complaint by Shamsher Kataria was only against three companies, others were included in the Director General’s investigation due to the prevalence of anti-competitive issues throughout the automobile industry. DG is the investigation arm of CCI. The fine on others are General Motors (Rs 84.58 crore), Honda Siel (Rs 78.47 crore), Skoda Auto India (Rs 46.39 crore), Ford India (Rs 39.78 crore), Fiat India Automobiles (Rs 29.98 crore), BMW India (Rs 20.41 crore), Mercedes-Benz (Rs 23.08 crore), Hindustan Motors (Rs 13.85 crore), Volkswagen India (Rs 3.25 crore) and Nissan Motors (Rs 1.63 crore). With respect to the penalty, CCI said there are some mitigating circumstances including the fact that “many of the opposite parties, though not all, indicated willingness to voluntarily discontinue many of these practices and offer greater choice and freedom to the consumers, repairers and dealers”. A probe revealed that the car companies breached competition norms with respect to its agreements with local Original Equipment Suppliers (OESs) as well as in terms of pacts with authorised dealers. Through these agreements, the car makers “imposed absolute restrictive covenants and completely foreclosed the after-market for supply of spare parts and other diagnostic tools”, the statement reportedly said. The commission has hence, directed the Companies to “cease and desist” from anti-competitive practices. According to the Commission, having a monopolistic control over the spare parts and diagnostic tools of their respective brands, the car companies charged arbitrary and high prices for their spare parts. The fair trade watchdog also took note of the fact that these Companies have made consumer-friendly commitments in other jurisdictions like Europe but failed to adopt similar practices in India which would have gone a long way in significantly diluting their present anti-competitive conduct. “This makes their conduct even more deplorable,” it said. It observed that the absence of appropriate legislative and regulatory framework for safety and standards relating to spare parts and after sales services is a handicap vis-a-vis the position prevailing in many other jurisdictions like European Union, France, USA and even developing nations like Brazil, China and South Africa. It hence observed, “This is something which may be separately brought to the notice of the government for appropriate action, which could include suitable legislation and setting up of an appropriate regulator as stated earlier in this order”. A copy of the order was hence directed to be sent to Ministry of Road Transport and Highways and ACMA (Automotive Component Manufacturers Association). The car companies were asked to work for standardization of an increasing number of parts in such a manner that they can be used across different brands, like tyres, batteries and so on, which would result in reduction of prices and also give more choice to consumers as well as repairers/service providers. The companies were directed not to impose a blanket condition that warranties would be cancelled if the consumer avails of services of any independent repairer. While necessary safeguards may be put in place from safety and liability point of view, the companies may cancel the warranty only to the extent that damage has been caused because of faulty repair work outside their authorized network and circumstances clearly justify such action. 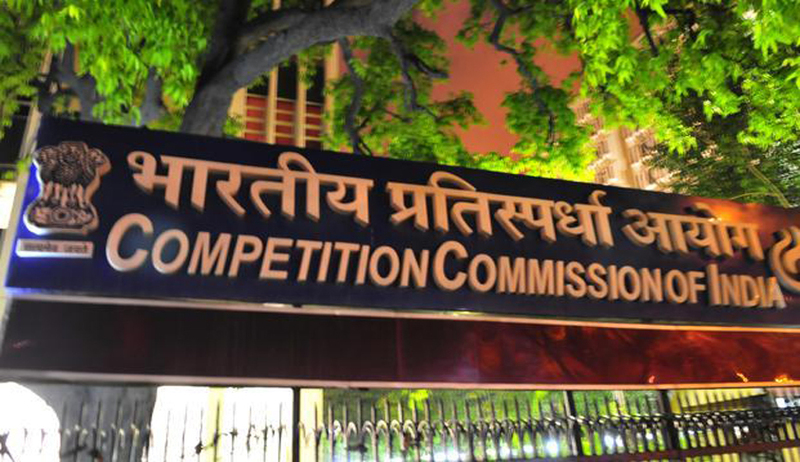 CCI was pursuing the case under Sections 3 and 4 of the Competition Act which, respectively, relate with involvement in anti-competitive practices and the abuse of dominant position by enterprises. Mahindra and Mahindra has reportedly decided to challenge the penalty. It said that it had "furnished all information and clarification requested by the authorities in the context of the investigation"